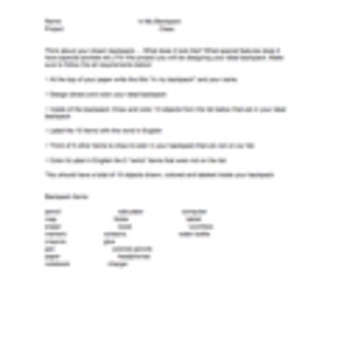 - Directions for drawing your ideal backpack and school supplies inside. School supplies are labeled as part of the project. 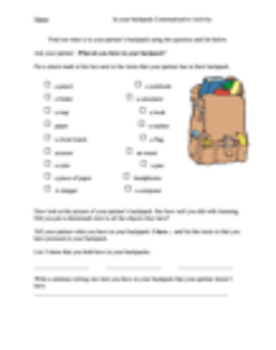 -A communicative activity where students talk to one another sharing what is in the backpacks they drew and asking questions to find out what is in their partner's backpack. Student then discuss and compare what they have similar and different from one another.